Students as Researchers (StAR) projects can be game-changers if the adults who are in positions to make decisions on policy and programs pay attention. Student-led research is an opportunity to practically apply the knowledge and skill essential to mastery of a variety of curricula (e.g. anthropology, philosophy etc.) and can strengthen the connection between curriculum and the ‘real world‘. In most instances, research findings reflect the student experience and therefore, augments information available to decision makers. It is thought that students will tell students what they may not tell adults, especially if students believe that sharing their viewpoint will lead to change. In this post, I set out on my Students as Researchers journey. 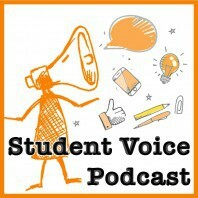 Subsequent posts will include guest blogs from educators and young people. In future posts, I will write about the Students as Researchers conferences that followed. I invite you to share your thoughts and experiences with student-led research and enrich us all. Why do young people have to stay home on professional learning days of their teacher? Why couldn’t young people have the opportunities for professional learning as well? I reflected on what youth had asked and I looked to Homerton College, the University of Cambridge for inspiration. In this instance, the Students as Researchers toolkit written by Michael Fielding and Sara Bragg, published by Pearson Publishing (2003) caught our attention. What might happen if the training in collaborative inquiry typically provided to teachers was provided to their students? My colleague, Dr. David Lewis, ordered the toolkit. We pitched an idea and received support for a small project. Our initial involvement was very brief for work related matters prevented us from seeing the Student2Student project through to completion. Nevertheless, we did learn an important lesson. We learned that the process for securing research ethics approval was critical to the project’s success. We had more work to do to properly prepare the research teams in this area and our next effort included a more robust examination of how to conduct research ethically when involving humans. Students as Researchers became a pilot project in the winter of 2012 in Toronto. A two-day training session was organized and 20 teams from both elementary and secondary schools and from across Ontario (4 students and 1 teacher/team) participated. The purpose of the training was to learn how to conduct community-based collaborative inquiry/action research (CBR). Access Alliance, a community health agency, adjusted the collaborative inquiry toolkit they had developed for their stakeholders (e.g. new Canadians, marginalized populations) for the pilot. The adapted Students as Researchers Toolkit can be found here. Access Alliance’s CBR department developed a toolkit for the Students as Researchers conference as a reference for the student-teacher teams to use throughout the conference and upon returning to their schools. This toolkit is an abridged and modified version of a more detailed and comprehensive CBR toolkit that Access Alliance published in October 2011. The toolkit is comprised of all of the elements of a collaborative inquiry research project presented in an accessible youth-friendly way. It includes explanations, examples and worksheets for all of the elements of a collaborative inquiry research project. Students as Researcher teams returned to refine their draft research questions, secure research ethics approval and embark on their project. A calendar was provided to the teams which included key dates, a toll-free number to call the Ministry support team if they had questions (e.g. their research question, research support etc.). Each team was provided with their own copy of the toolkit as well as a form for school principals regarding research ethics approval. It was recommended that research findings be shared at staff meetings, with school administrators, student success leader (school board) and the ministry. This video conveys the experiences of students, teachers and administrators and board leaders from the pilot. Here are a few of the many questions asked by Students as Researchers teams. What factors help students in grades 9 to 12 feel a sense of comfort and belonging? How can we be better prepared for difficult transitions in the future (examples: grade 6 to 7, 8 to 9, 10 to 11)? How can we promote healthy eating in our school in a fun and interactive way? Safe from Bullies, What Students Can Do to Help? How do students want teachers to use technology in the classroom for teaching and learning? What are the experiences Aboriginal youth go through while transitioning to Timmins Vocational High School? Watch the video and find out what the Student Researchers learned and what has happened as a result. Students can do research. Research can change policy. Students can change policy.